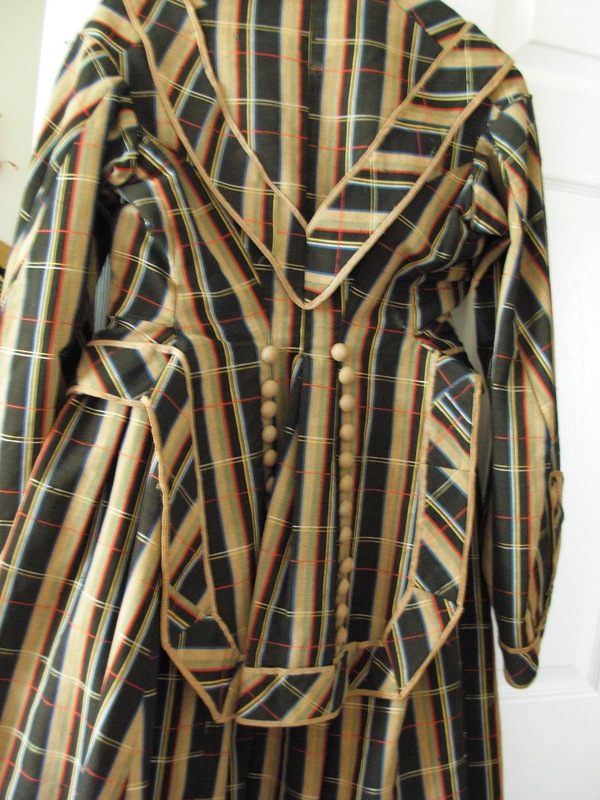 This is a beautiful authentic 1800's ladies 3 piece skirts and jacket. 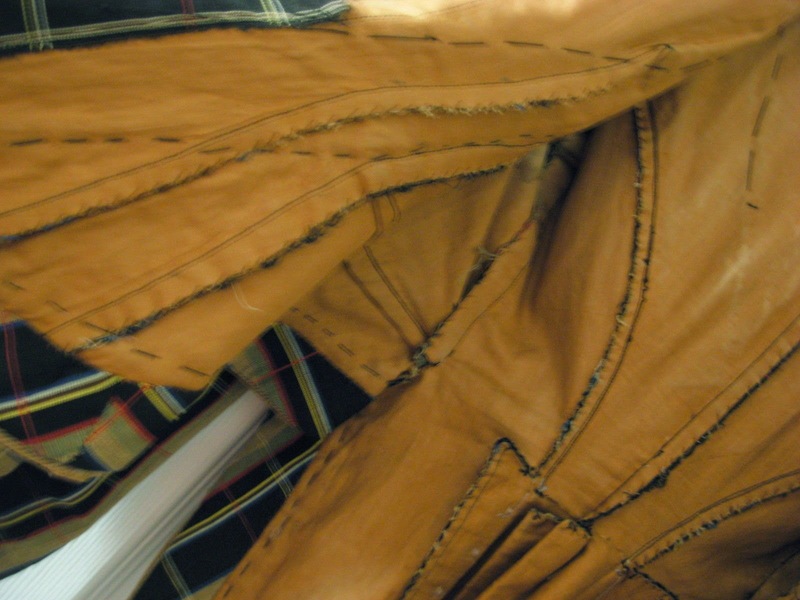 The fabric is heavy and sturdy not fragile and is like a heavy linen or grossgrain. There is a long skirt with a tapered back and an overskirt that is approx. knee length. 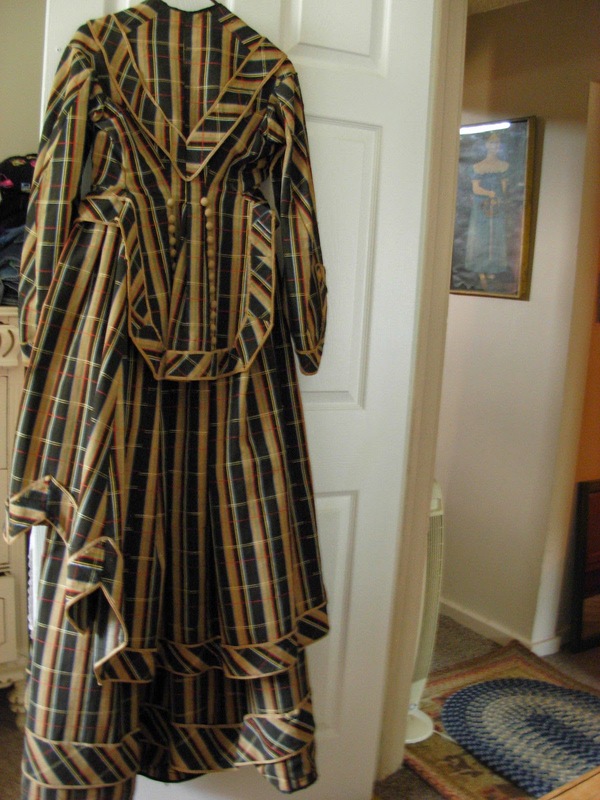 There is a jacket that has the big bell sleeves and and a tapered tail back side. There are two rows of buttons down the back that look to be good replacements as well as the fronts. The button holes and hooks for everything still work well. 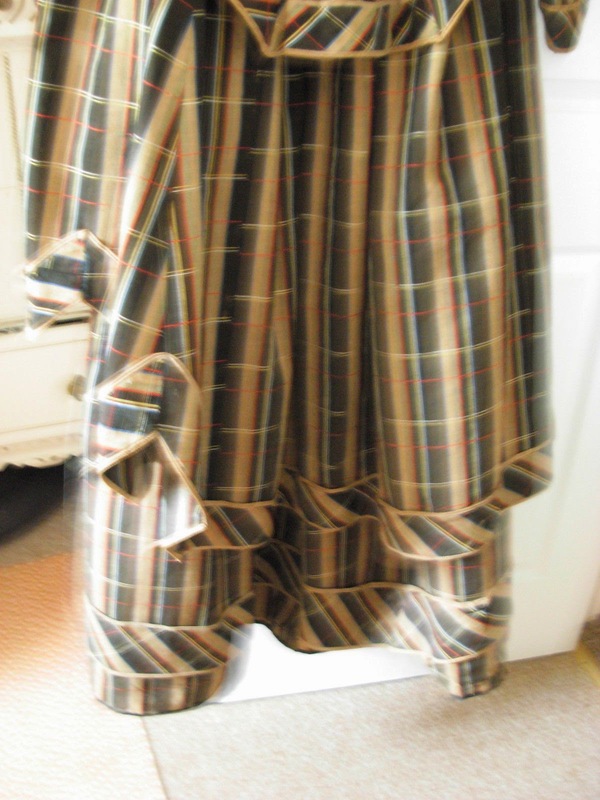 The skirts still have wonderful large original hooks. 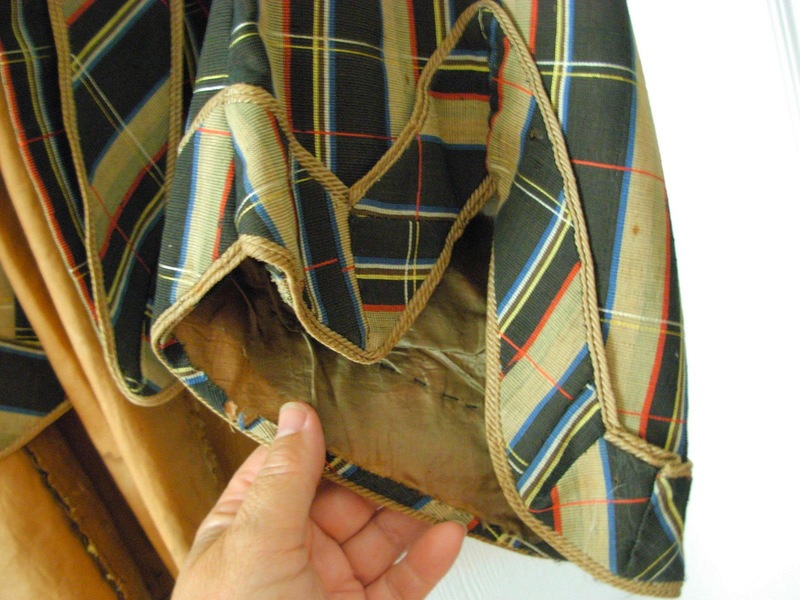 The underskirt has a layer of black lining about 10" up from the hem. 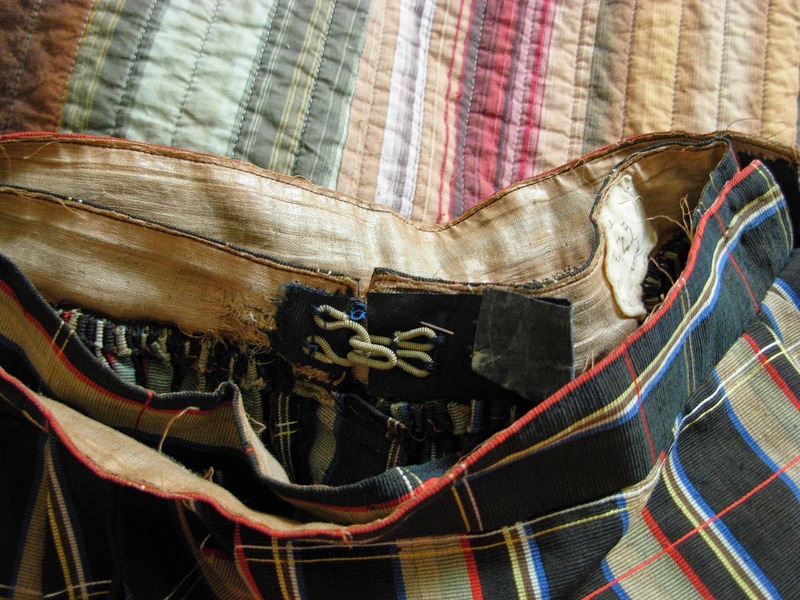 The dress has some very small repairs here and there, but done very nicely. 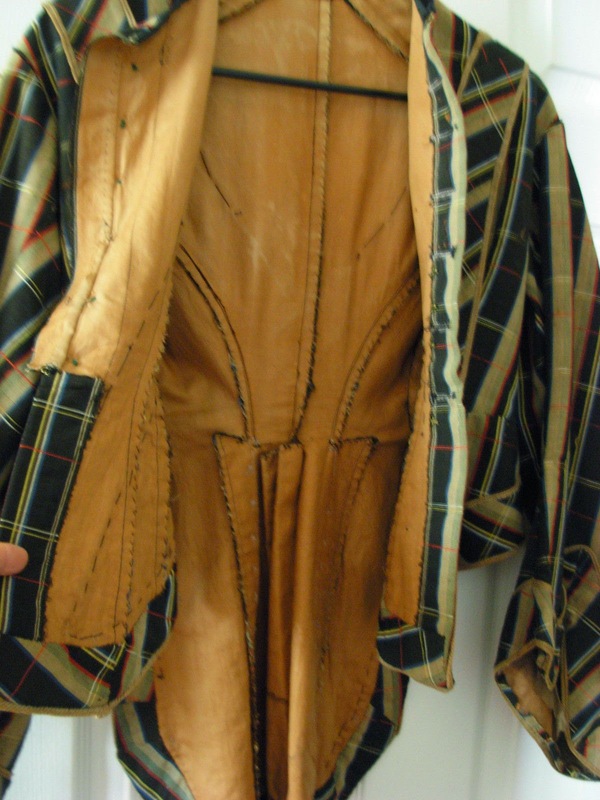 The waist of the skirts and jacket is 27" so a size small (without a corset). 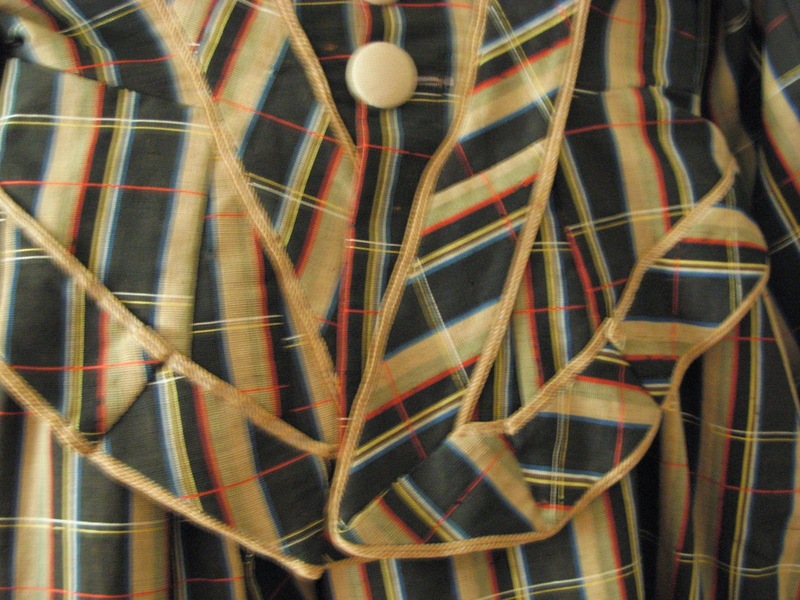 The fabric colors are black, tan, red, moss green and blue. The colors are still in good cond. with no fading. 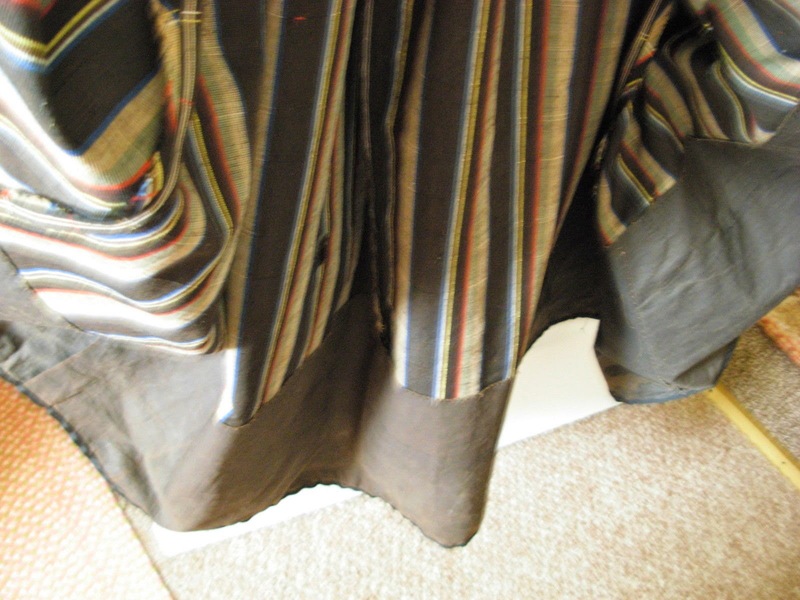 The last picture show the silk lining on the inside of the sleeves. 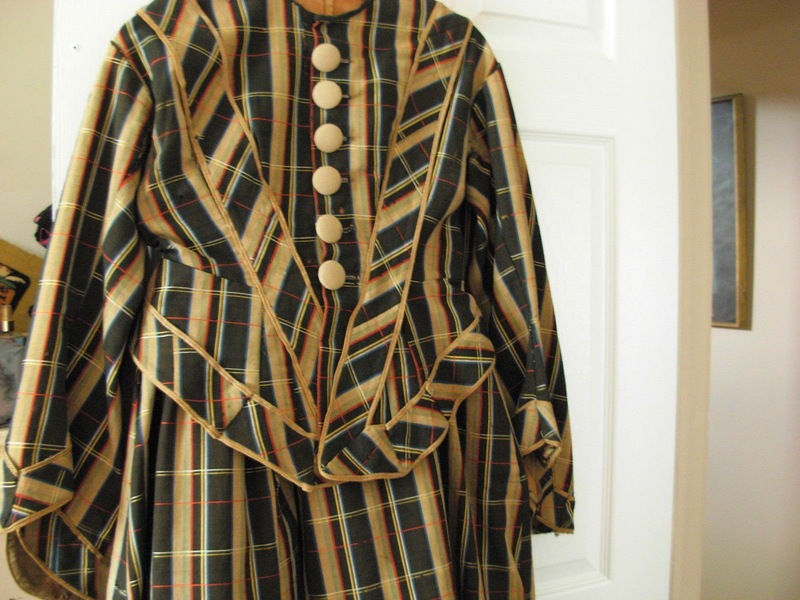 This would be fantastic on a dress form or for a reenactment. Thanks for looking. 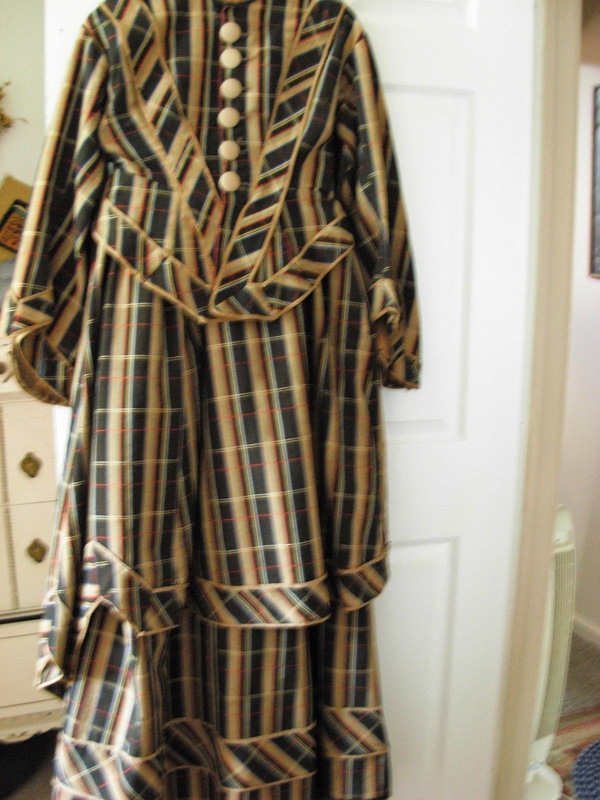 Early 1870's based on the waistline and details. Robin, it's plaid!!! !